Our range of Vertical blinds are designed to a high standard and ideal for homes, office and schools. 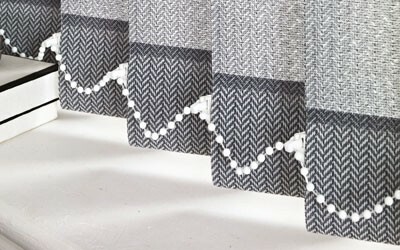 Made to a finish of your choice, these blinds are available in a wide range of colours and fabrics allowing you to perfect the ideal look. If you are looking to mix and match, our Vertical Blinds are also available in fabrics to match our Roller Blinds collection. All of our blinds are supplied and fitted adhering to child safety regulations.